A HEARTY SCOTTISH WELCOME FROM YOUR HOST CATH AWAITS! 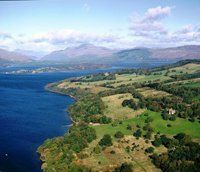 There is plenty to do in and around Balloch, from visiting Balloch Castle to eating out at one of the many pubs and restaurants in the area. If you decide to venture outwith Balloch there are plenty of day trips within travelling distance that are well worth a visit.